Hosted by Our Mistress of Ceremonies, Kay Kimberley, The Band Tent is back for Barefoot Festival 2019 and it's going to be the best yet! 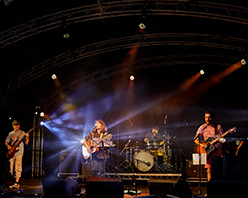 This Barefoot Festival 2019's line-up is already booked and confirmed, you will find all the band and artist information being updated over the coming weeks on this page. 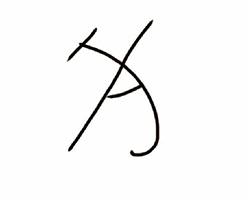 Josephine and The Artizans - London based HipHopera band that consist of classical strings, operatic vocals, heavy beats and energetic rap. The Social Ignition - a Ska-fusion band with a melting pot of musical influences, from Folk to Funk, Jazz, Hip Hop, Rock and Punk and E.D.M but always with a main focus on Reggae and Ska. The broad range in musical interests and influences of the band members adds to their interesting, diverse sound; with skank-tastic brass, Dubby Bass lines, to funkadelic guitar licks with danceable beats. All adding up to their unique complexities, there’s a little bit of something for everyone, whilst staying true to their sound. 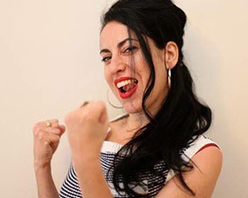 Strizzy Strauss - Strauss aims to provide an alternative to the current hip-hop narrative, in terms of subject matter, sound and presentation. 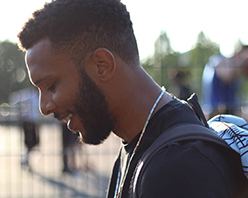 Through his music, Strizzy describes the harsh realities of growing up on a deprived estate and how he has been able to use this experience as a positive to progress in life. Strizzy Strauss' main aim is to provide the next generation with the motivation and inspiration required to succeed in life. 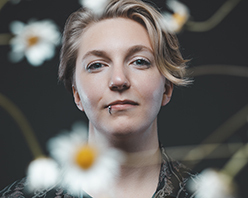 Karina Denike - virtuosic chanteuse Karina Denike will transport you to a decade that never happened—but should have. 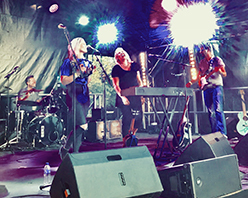 Blue Skies In June - Perfect for getting festival crowds up and dancing, Blue Skies in June will lift spirits and raise the roof with their performances of edgy covers combining current, alternative pop songs with classics from the 90’s in an indie/rock style as a sassy female fronted five piece band. Add in four part harmonies, driving guitar and a bucket load of energy and you get something along the lines of Fleetwood Mac singing The Hills by The Weeknd. 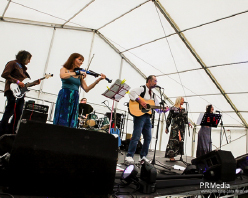 Dust & Debris - are Americana based, playing popular covers and Les’ original songs - a blend of Country, Blues, Bluegrass, Cajun, Western Swing and Rock and Roll. How do they describe this magical mix? 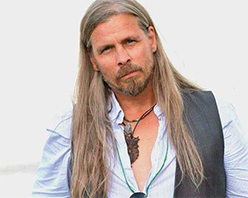 They call it “Rock’a’Bluesy Country-Soul” - Simple music that goes straight to the heart! The Idolins - are a Nottingham based folk / acoustic pop act who’s sound is built around the beautiful and heartfelt storytelling of Karen Smalley, delivered by ear-catching vocals and finely laced harmonies, across an evocative, melodic musical mix of acoustic guitar, electric guitar, banjo, mandolin, bass and percussion. Moscow Drug Club - Combining their original material with songs by the likes of Jaques Brel, Leornard Cohen, Tom Waits & Bertolt Brecht, Moscow Drug Club provide an intoxicating and intimate musical experience. You are cordially invited to share a wry smile with them as you enter the darkly comic world of Moscow Drug Club. Ara Jaff - 19 year old artist from Manchester with a Kurdish background, plays the guitar with a looper pedal. Influenced by artists such as Ed sheeran and Shawn Mendes. Genres include RnB, Hip Hop and Soul. 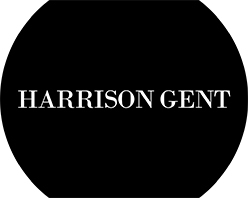 Harrison Gent - is a 13 year old musician who has been playing guitar since he could hold one! he is inspired by The Smiths, The Beautiful South, Arctic Monkeys and more recently Jake Bugg, Easy Life and various others. He is gaining a credible reputation by gigging the Leicester music scene, regularly featuring at The Sound House open mic night and various other venues (whoever will have him) He confidently performs songs by his favourite artists with a delivery beyond his years and is also a budding song writer himself. Bellatones - from folky beginnings as an acoustic duo in 2011, Bellatones have evolved in to a multi-instrumental 5-piece rock behemoth with a reputation for soaring melodies, driving rhythms and dramatic songs, showcased in their energetic live performances. 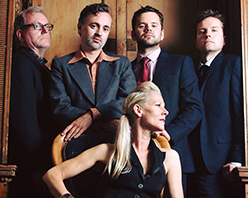 Their recent evolution has brought a lively fusion of blues, rock and dance influences, which has seen audiences dancing in the aisles and on the tables at recent gigs. Siobhan Mazzei - Leicester born and bred, Siobhan grew up surrounded by music and has collected various concepts of musical genus, creating a style that refuses to be hemmed by Genre. Siobhan provides an atmospheric set that combines a bleak folky sound with Pearl Jam-styled grunge to provide something that comes across as interestingly unique. Luke Broughton - is a modern day singer song writer. They are poetic songs of love and life that strike a chord inside. He is a refreshing commentator of his time with a voice that is unique and quite spectacular. His lyrics speak of the highs and lows on the journey through life in a way we can all connect with. Luke's soaring and haunting vocals overlaid with simple finger picked guitar are a joy and some of his melodies will stay with you long after the stage is empty. Dj Captain iPod - popular Leicester Dj Captain iPod Playing an eclectic mix of Hip-Hop, Reggae, Indie and Funky Groves. A resident at the Basement in Leicester and has supported some big names over the years including Grandmaster Flash, Craig Charles and The Sugar Hill Gang... Will be sure to Keep you dancing late into the night . 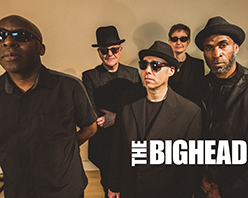 The Bighead - are based in Northampton and play Original Roots Reggae and Ska and have been playing the festival and club gigs for over 10 years. 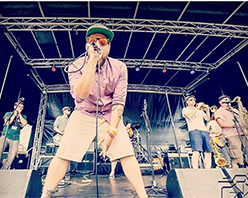 Formed in 2008 by Da Costa, the band have played headline and supported the original 2-Tone acts , the Beat, The Selector, Bad Manners and a 2013 show with Madness. 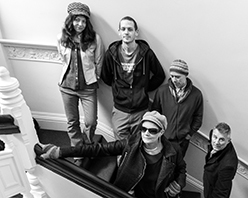 The band play all over the UK and Europe with are regulars on the Berlin Reggae scene. 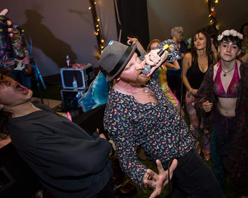 This year the band play the Barefoot Festival in Leicester for the first time and release a first vinyl single for 2019 “ Hangover Cure “ and are working on a third album for release in May. 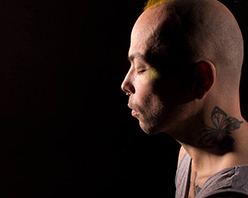 Brad Sharp - works as a composer, improviser and sound artist at the edges of concert and club culture. 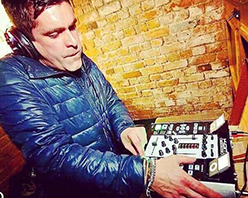 Following playing at venues such as the Ministry of Sound, Pacha and a whole host of other events, festivals and venues he made the decision to delve into the composition and production side of music and gain critical knowledge by completing an MA in Music at UCLAN. This has led him to working on a live set which is currently being show cased around the UK and Europe. She, Robot - Suzy Condrad creates songs using a loop pedal. 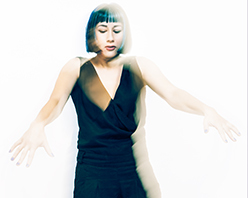 She uses many instruments and her voice to build up complex arrangements one bar at a time. Everything happens live, nothing is pre-recorded. In 2011 she won the UK Boss Looping Championship (international competition for Loop Artists) and went on to compete for the UK in the World Championships. Kenneth J Nash - is a veteran of the music scene, he's released critically acclaimed and award nominated albums and shared the bill with Fleetwood Mac and Pharell Williams. He's supported Suzanne Vega, Seth Lakeman, Eliza Carthy, Dodgy, Wonderstuff, Hayseed Dixie, Mark Geary and many others. He's had songs featured on Discovery Channel and BBC TV. His songs are all written from the heart and tell his story of Love, Loss, Salvation and Addiction. He's been compared to Leonard Cohen, Damien Rice and Gram Parsons. 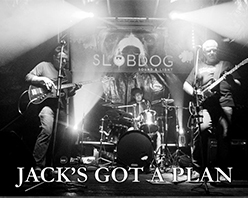 Jacks Got A Plan - Three piece singer songwriters Johnson, Hanlon and Bogue are Jack’s got a plan. 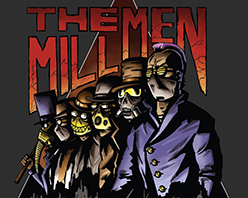 A Midlands based pop rock trio with a catalogue of original material derived from real life experience, wrapped around killer hooks and brought to life with three part vocal harmonies. With a wide range of musical influences woven into their tunes and lead vocal duty shared, every performance has a satisfying diversity whilst being unified by an energetic performance and the Jack soundscape.